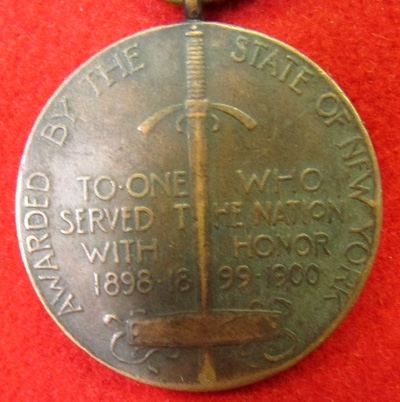 Item #42617 : Original era manufacture. 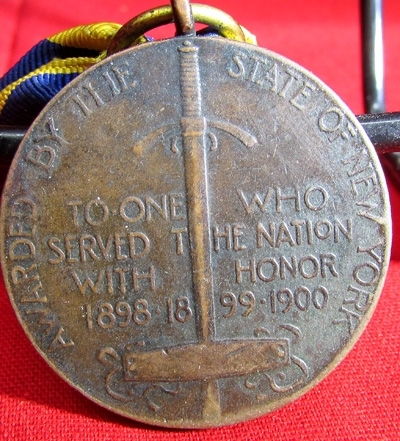 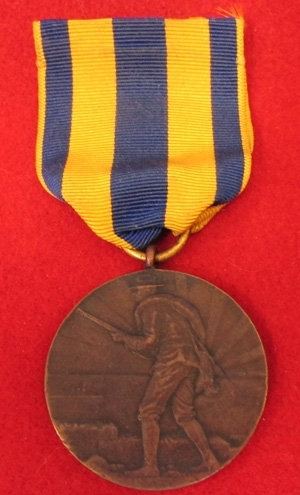 US Spanish American War New York Service Medal. 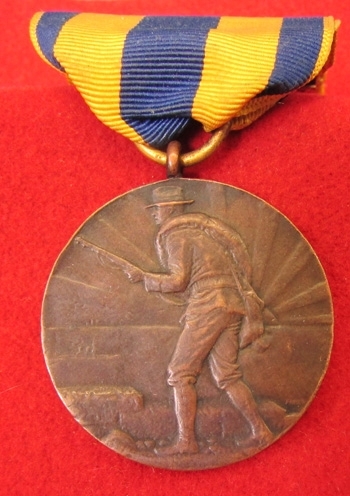 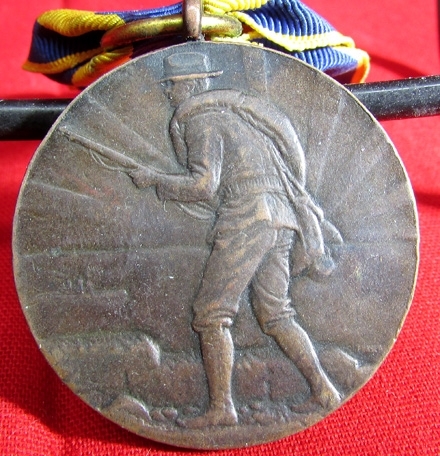 A good quality medal with original ribbon and suspension, very clean, un-numbered edge.